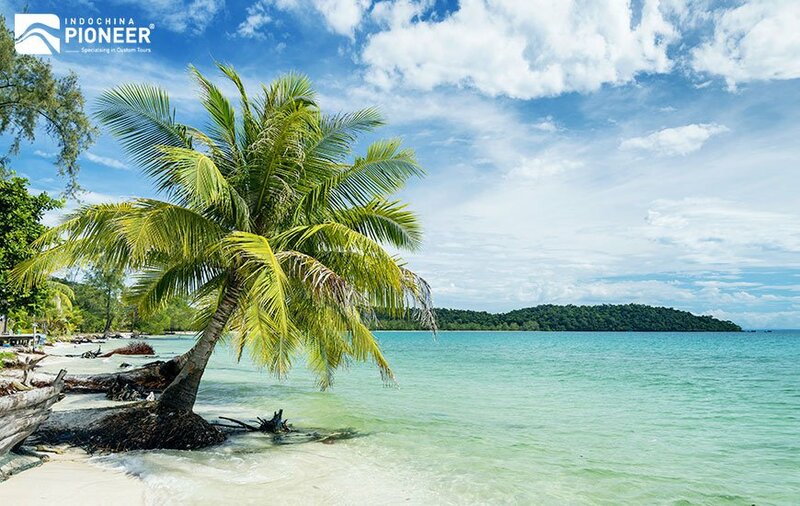 Dotting the waters off Sihanoukville, Koh Rong Samloem is well-known as one of the most attractive tropical paradises not only in Cambodia but also in Southeast Asia. A totally remote island with the perfect beach, white sand bank, turquoise water and the irresistible ocean vibe is a dream for any beach lover. So while being in this heaven, what should you do? First of all, let’s laze on the beach! 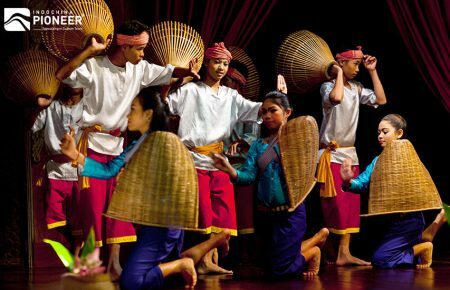 If you are so tired of with the over-sparkle city lights, Koh Rong will be the ideal escape offering untouched beaches and a relaxed way of life, as the island is remained perfectly untouched. In this Thailand neighbor town, you won’t have to worry about tourist crowds or being distracted from your nap on the beach. While the options for accommodation and drinking and eating may have improved on the island, chill time on the beach is still the main reason most head to the islands. Breath-taking powder-white sands and clear crystal waters, with hardly a soul in sight, are in abundance here, so find a secluded spot and enjoy lazing in the sun or splashing in the sea. 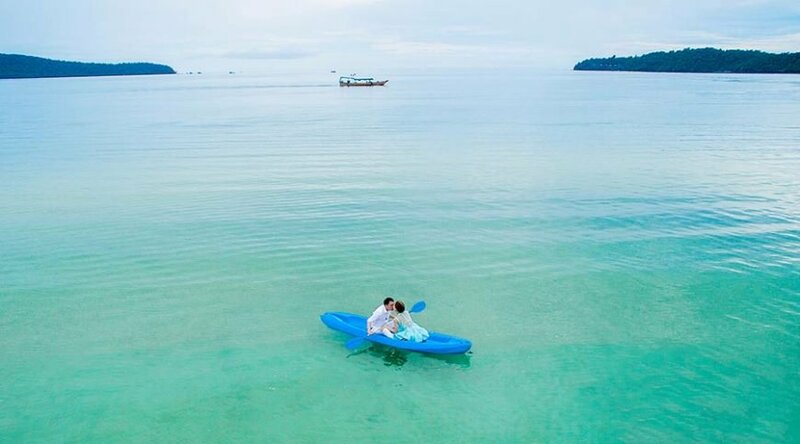 Those crystal-clear waters make Koh Rong Samloem the perfect spot for snorkeling. 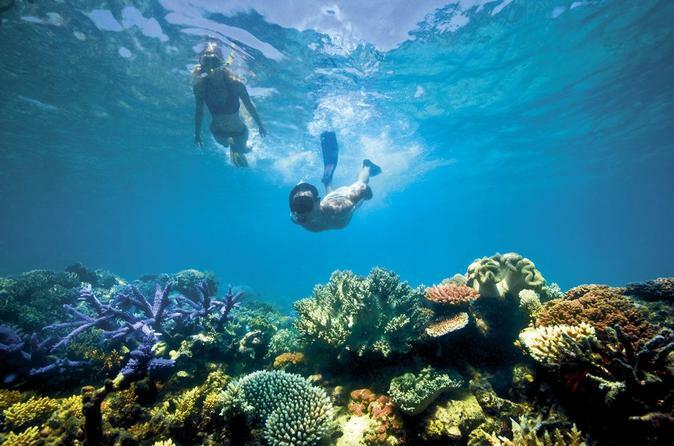 With visibility high around the island, the waters here are wonderful and snorkeling is a great way to explore underwater life. Either hire a mask and explore independently or take an organized boat trip, which stops at several points along Saracen Bay and Koh Koun, just off Samloem’s coast. 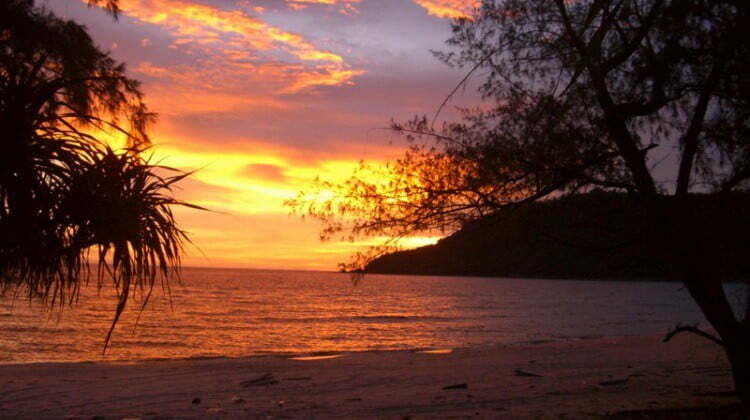 In case snorkeling is still not enough for you, don’t worry, Koh Rong Saloem always can offer you more. 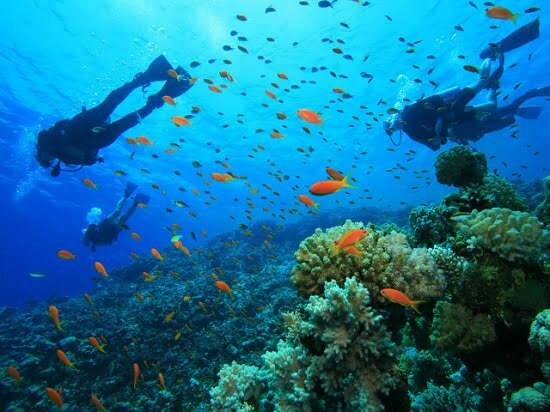 You are able to join a diving trip anytime while being here. 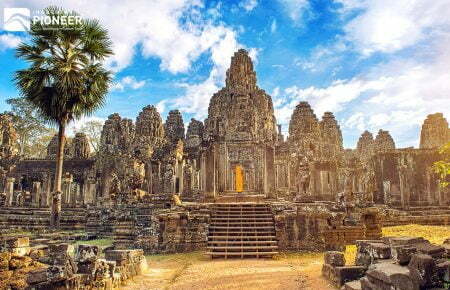 Cambodian Diving Group is based on the island, so your hunger for exploring the ocean can be satisfied easily. Whether you want to take your PADI certification or just to go for a light exploration, this is a great place to experience the depths near Samloem for some stunning coral and fish. 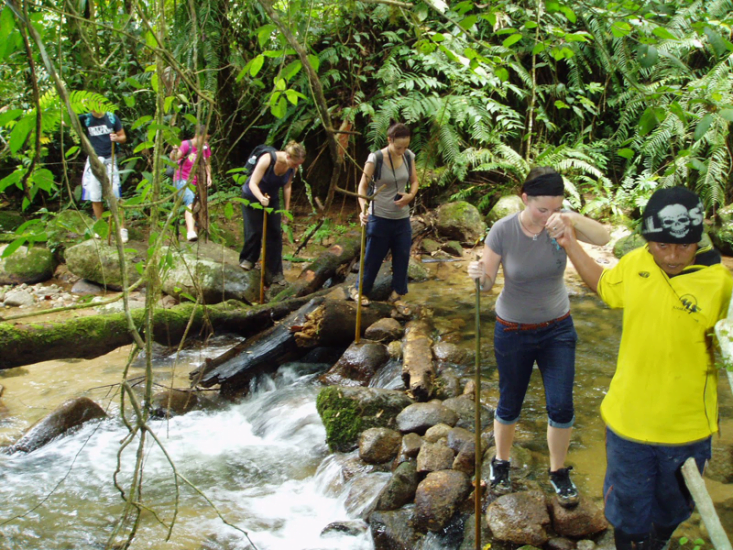 Trekking through the light jungle is an essential activity when staying on Koh Rong Samloem to fully enjoy the bounty of nature, from the trees and plants to largely undisturbed animals, who outnumber human inhabitants here. In keeping with the beach bum vibe, find yourself a great spot on the west or northern side of the island – M’Pay Bay, Lazy Beach and aptly named Sunset Beach are the best – grab a cocktail and relax as the sky transforms from day to night. It is not an oversaying to state that Saloem is among the most excellent choices for kayaking. Travelers can spend the whole day exploring the island’s network of waterways in a fun and not too physically strenuous way. Together with you and your kayak is a number of extraordinary things to enjoy, from the rocky island, a fishing village to the cave waterfall. This is not a really huge island, so the distance between two places can be covered well by a bike. And a bicycle is also an interesting choice to admire this island beauty. With stunning jungle foliage and paths leading across the island to opposite beaches, mountain biking is a great way to view Koh Rong Samloem’s nature and discover alternative areas to the main strip of beach huts on Saracen Bay. 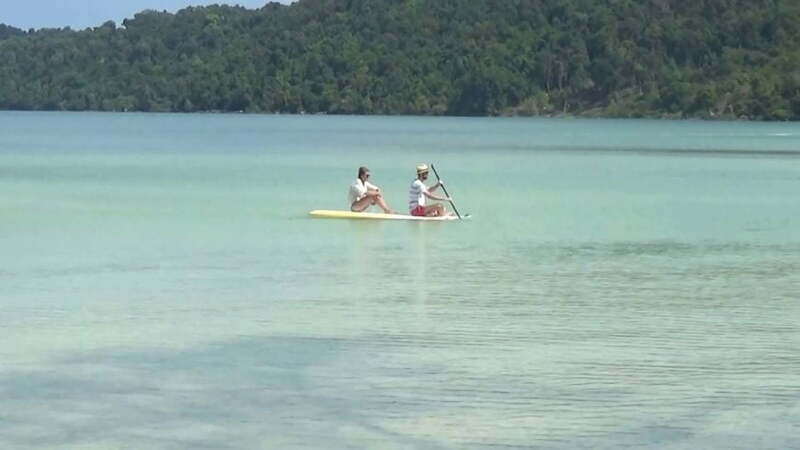 The majority of guesthouses and dive centers that dot the fringes of the island will also have stand-up paddle boards for rent by the hour or half- and full-day. This makes for a fun way to explore the island’s waterways, just don’t forget the sunscreen and something to cover your head and shoulders because the sun is harsh.